Now i'm recommending you the Wismec DNA200. You must have heard about this vaporization device. 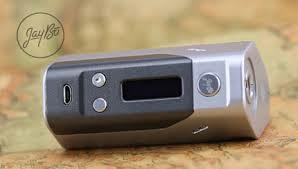 Though many DNA200 TC mods have appeared in the market, i still recommend it to you. With the adoption of Evolv's DNA200 TC chip, the Wismec DNA200 can bring advanced temperature controlled experience. So surprisingly, Wismec DNA200 uses three 18650 cells, which is different from other DNA200 mods. Moreover, the Wismec DNA200 holds the irregular and beautiful appearance, would you like to give this compact stuff a try? Here is the official authorized online store wismec.org for you.